Rum tends to evoke images of seafaring pirates. Or perhaps of azure seas and daiquiris and colorful colonial architecture. The vast majority of the world’s rum is produced in the Caribbean and Latin America, but why? All you really need to produce the spirit is sugar cane. So why aren’t sugarcane-rich countries in Asia producing rum? 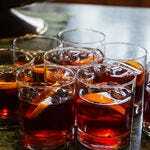 Because there were few, if any, people who knew how to make it, let alone a desire to drink it – until recently. As it turns out, Cambodia is a great place to distill rum. Sugarcane is abundant. 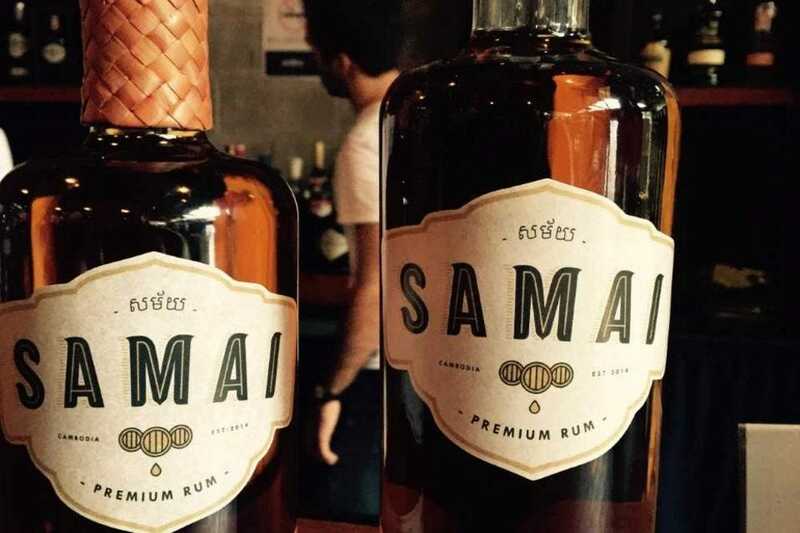 The only missing links were the producers and the market, but thanks to a pair of Venezuelan expats with a thirst for the drink of their home country, Penom Penh is now home to Cambodia’s first commercially distilled rum. 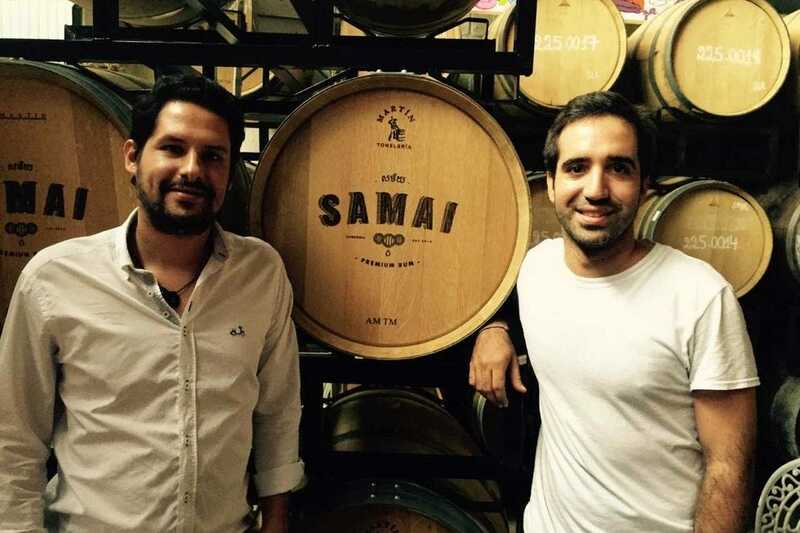 Samai Distillery co-founders Daniel Pacheco and Antonio Lopez De Haro are eager to introduce Cambodians and visitors alike to the spirit they love via their flagship Gold rum. A warm, sunny, and stable climate make parts of Cambodia a hotbed for sugarcane, and Samai carefully selects quality yields to serve as the base of its products. After harvest, the local sugarcane is stripped of leaves and its juices are boiled into a rich syrup, eventually becoming the caramel molasses that makes their rum completely unique compared to anything found in the Americas. The result is a spirit that reflects the land of its birth but can appeal to experienced rum drinkers from the other side of the world – the hope is that Cambodians will increasingly embrace the product as well. “Tapping into the local Khmer market is a bit tougher, as unfortunately they believe that local products are of lower quality,” Pacheco said. Despite the abundant local ingredients, rum has never been a big part of a Cambodian drinking culture that revolves around palm and rice wine, light beer and teuk thnout chhou, a whiskey-like spirit similar to Thailand’s Mekhong. 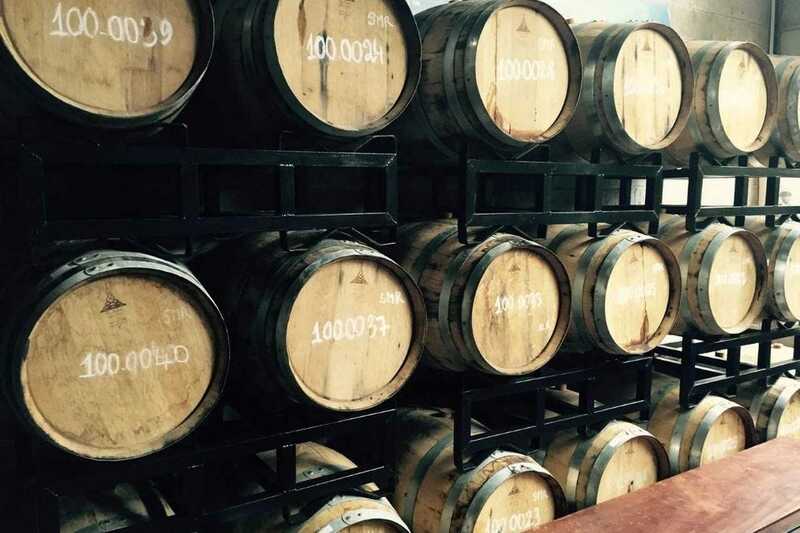 Samai is not only the first maker of rum, but the first craft distillery of, well, anything. That’s one reason Pacheco and De Haro have to work to turn the opinion of Cambodians onto not only rum, but onto locally made products in general. The pair welcomed me into their tasting room on an overcast Wednesday afternoon. 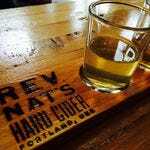 Daniel poured a taste of their flagship Samai Gold, neat in a rocks glass. He looked at me as he lifted the bottle, but after a hectic day of whisking around the city in the back of a tuk tuk, my eyes were focused on the prize. The stuff bit with a sharp spice, defining Samai’s trailblazing spirit as it eased its way down. Samai Gold needs no help from soda, fruit juice or bitters. Indeed, it’s an authoritative presence on its own. Pacheco and De Haro have expanded their line to include Kampot Pepper Rum made with red Kampot pepper from the local La Plantation. Samai also released 388 bottles of its Samai PX Limited Edition, aged in a Sherry American Oak Barrel. This dark rum boasts plums, figs, raisins, and even a bit of chocolate. The primary focus, however, continues to be their Gold rum. Samai’s distillery and tasting room sits tucked in a quiet alley about two miles from the river’s commercial district. Expats flock to the riverfront in today’s Phnom Penh, opening trendy restaurants and shops catering o the growing tourism market. The Chamkor Mon area has changed, but it still feels nothing like, say, Chiang Mai. Read more about Tim Wenger here.